Windows are ideal energy-saving solutions for your home. They provide insulation because of its components, mainly the glass. Through advancements in technology, manufacturers have developed low-E glass for solar and thermal performance. When your windowpane absorbs heat or light energy, it radiates it back. This process is called emissivity. The amount of heat radiated depends on the emissivity value and temperature of surfaces. Windows with low emissivity values are better insulators, and this is due to low-E glass. Low-E glass has a coating that minimizes the amount of ultraviolet (UV) and infrared light that passes through, without compromising visible light transfer. St. Charles, Missouri, energy efficient windows with this type of glass reflects interior temperature back inside your home. This way, cool or warm air will not escape through your windows. U-value – This measures how much heat is lost in your windows. Visible light transmittance – This rates how much light passes through the glass. Solar heat gain coefficient – This is the fraction of solar radiation that your window lets pass through. Where Can You Get Windows with Low-E Glass? 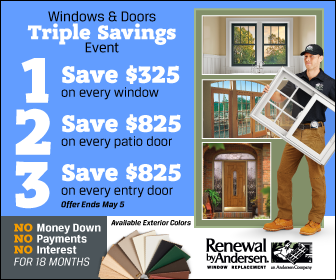 High-Performance™ Low-E4® – This is our st andard offer for every windows installation in St. Charles, MO. This is 45% more efficient in winter and 56% more efficient in summer. It can also block up to 83% of UV rays that cause furniture fading. High-Performance Low-E4 SmartSun™ – You can choose this option for most energy savings. It offers 47% efficiency in winter and 70% efficiency during warmer months. It can also block up to 95% of UV rays. High-Performance Low-E4 Sun – You can choose this glass to reduce solar heat gain and visible light transfer. Our glass and our insulating Fibrex® frames can help your home save energy. If you want to learn more about our products, call us today at (314) 332-2364. You can also reach us through our contact form.